Mouse anti Canine, Human, Monkey, Mouse, Rat GAPDH OTI2D9. 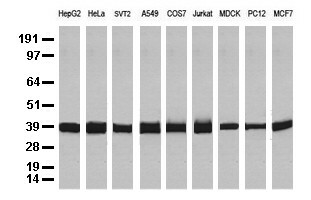 Full length human recombinant protein of human GAPDH (NP_002037) produced in HEK293T cell. The product of this gene catalyzes an important energy-yielding step in carbohydrate metabolism, the reversible oxidative phosphorylation of glyceraldehyde-3-phosphate in the presence of inorganic phosphate and nicotimide adenine dinucleotide (D). The enzyme exists as a tetramer of identical chains. Many pseudogenes similar to this locus are present in the human genome. Two transcript variants encoding different isoforms have been found for this gene. [provided by RefSeq, Feb 2012]. Florio F, Cesaro E, Montano G, Izzo P, Miles C, Costanzo P. Biochemical and functional interaction between ZNF224 and ZNF255, two members of the Kruppel-like zinc-finger protein family and WT1 protein isoforms. Hum Mol Genet. 2010 Sep 15;19(18):3544-56. doi: 10.1093/hmg/ddq270. Epub 2010 Jun 30. PubMed PMID: 20591825. Peng XL, Hou L, Xu SH, Hua Y, Zhou SJ, Zhang Y, et al. 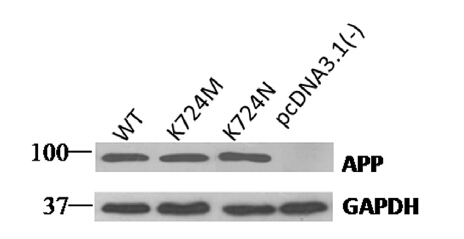 Novel APP K724M mutation causes Chinese early-onset familial Alzheimer's disease and increases amyloid-β42 to amyloid-β40 ratio. Neurobiol Aging. 2014 Nov;35(11):2657.e1-6. doi: 10.1016/j.neurobiolaging.2014.06.005. Epub 2014 Jun 14. PubMed PMID: 25018108. Costanzo P, Santini A, Fattore L, Novellino E, Ritieni A. 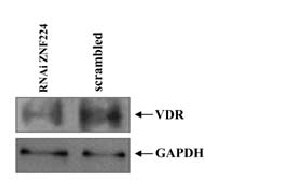 Toxicity of aflatoxin B1 towards the vitamin D receptor (VDR). Food Chem Toxicol. 2015 Feb;76:77-9. doi: 10.1016/j.fct.2014.11.025. Epub 2014 Dec 4. PubMed PMID: 25483621. Zhang D, Wang Y, Shi Z, Liu J, Sun P, Hou X, et al. Metabolic reprogramming of cancer-associated fibroblasts by IDH3α downregulation. 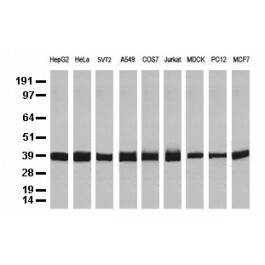 Cell Rep. 2015 Mar 3;10(8):1335-48. doi: 10.1016/j.celrep.2015.02.006. Epub 2015 Feb 26. PubMed PMID: 25732824.